Called ladybirds in the UK and Ireland and ladybugs in North America these bright creatures are appealing to children and a firm favourite in childrens books and songs. Ladybirds can be yellow, orange or red. 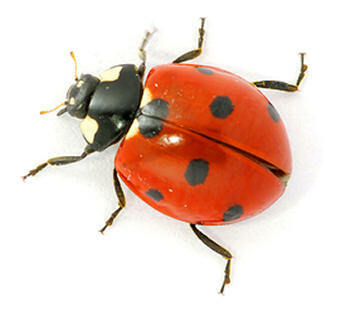 Fun fact: Ladybirds can have stripes instead of spots. Enjoy our sweet ladybird colouring pages, perfect for summer. Enjoy our bright ladybird and flower printables. Slightly Bigger than a Ladybird!